FOUR members of an alleged coordinated fraud syndicate have been charged as part of ongoing investigations into business email compromise scams across NSW. The scams included business email compromises, identity theft, romance scams and the fraudulent goods sales. Earlier this year, detectives from the State Crime Command's Cybercrime Squad established Strike Force Woolana to investigate organised criminal syndicates involved in these fraudulent activities. Cybercrime Squad Commander, Detective Superintendent Arthur Katsogiannis, urged businesses to review their electronic account payment practices to better protect themselves against scams. "In this day and age, most companies use electronic accounting systems and pay accounts electronically, which can make them susceptible to business email compromise scams," he said. "We would encourage all businesses to develop systems to combat against scams, including scrutiny of email requests to transfer funds or change account details, and standard procedures to follow to protect against business email compromises. "While there are many variables, generally, the perpetrators will 'spoof' or compromise corporate executive or employee email accounts and send email requests to an accounts payable employee for an electronic funds transfer. "Staff should be suspicious about these types of requests, and if they take the time to verify the authenticity of the email, whether it be via phone or a fresh email, they can potentially prevent the compromise. "That said, we still encourage anyone - corporate or personal - who have been a victim of email compromise to report it to police." 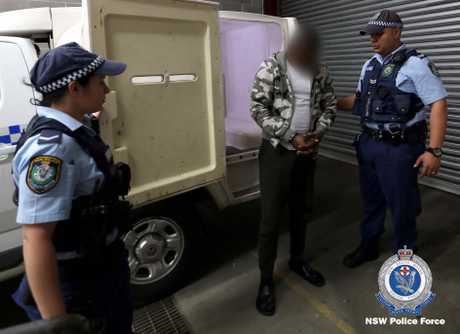 Following extensive investigations, strike force detectives arrested a 36-year-old woman on Liverpool Street, Sydney, just after midday on September 4. The Kingswood woman was taken to Surry Hills Police Station and charged with 11 counts of knowingly deal with the proceeds of crime. 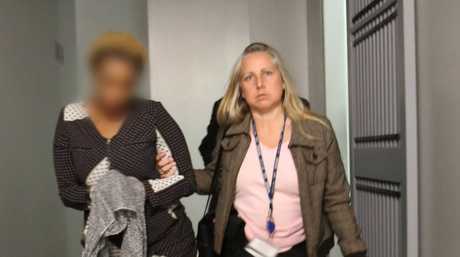 One of the women arrested in NSW police raids across the state related to a $3 million business fraud scam. Police will allege in court the woman was involved in the laundering of more than $480,000, which was fraudulently obtained through business email compromises. She was refused bail and appeared at Central Local Court, where she was granted strict conditional bail to reappear at Downing Centre Local Court on November 1. Shortly after the arrest, strike force investigators, assisted by North West Metropolitan Region, executed a search warrant at a home at Kingswood and a storage unit at Hoxton Park. During the searches, police seized computers, electronic storage devices, mobile phones, sim cards, and documentation. Investigators also seized a Land Rover from a car park at St Marys, which is suspected to be proceeds of crime. About 4.25pm, a Commonwealth search warrant was executed with the assistance of Australian Border Force at a facility at Villawood, where investigators seized a mobile phone, SIM cards, and documentation. The following day on September 5, strike force detectives, assisted by South West Metropolitan Region Enforcement Squad, executed two search warrants at homes at Chester Hill and Granville. Police arrested people at Villawood, Granville and Chester Hill during raids to crack an email scam. During the searches, police seized computers, mobile phones, SIM cards, methamphetamine, and identity and financial documents, which are believed to be stolen. Two people - a 20-year-old man and a 20-year-old woman - were arrested at the Chester Hill property and another 36-year-old woman was arrested at the Granville property, and all were taken to Granville Police Station. The man was charged with seven counts of recklessly dealing with the proceeds of crime, possess identity information with intent to commit an indictable offence, and possess drug implement. Police will allege in court the man was involved in the laundering of $90,000, which was fraudulently obtained through business email compromises. The younger woman was charged with knowingly deal with the proceeds of crime. Police will allege in court the woman was involved in the laundering of $17,000, which was fraudulently obtained through business email compromises. 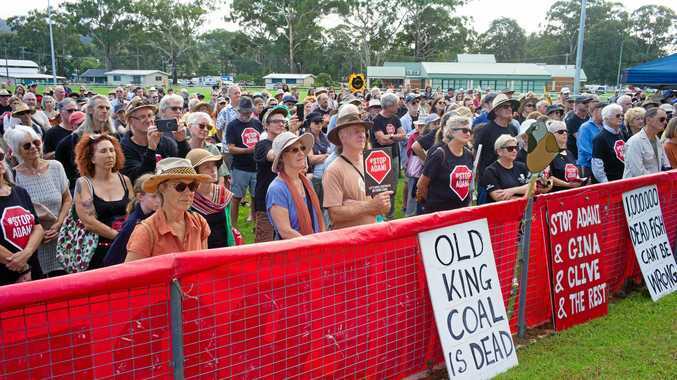 The pair were granted strict conditional bail and are due to appear at Parramatta Local Court on October 2. The older woman was charged by way of a Field Court Attendance for drug possession. She is due to appear at Parramatta Local Court on October 2. Following further investigations, Strike Force Woolana investigators, assisted by Australian Border Force, executed a further three search warrants at the Villawood immigration Detention Centre about 11.30am yesterday. NSW police conducted raids across the state related to a $3 million business fraud scam. During the searches, investigators seized 16 mobile phones, numerous SIM cards, identification information, and various electronic storage devices. Police arrested a 43-year-old Nigerian man at the facility, who was taken to Bankstown Police Station. He was charged with knowingly direct activities of criminal group, two counts of knowingly deal with proceeds of crime, and possess identity info to commit indictable offence. Police will allege in court that the man was directing the activities of the group and coordinated business email compromises to the value of more than $3 million. The man was refused bail to appear at Bankstown Local Court later today. Investigations under Strike Force Woolana are continuing. ABF Detention Operations Commander Bill Ries said the ABF was committed to working with state police counterparts to ensure the safety and security of the detention network and to stamp out criminal activity. "The ABF has been making the case for some time for powers to remove phones from detainees within immigration detention centres, many of whom have had their visas cancelled for serious criminal offences," he said. "We know phones can be used to coordinate escape efforts, as a commodity of exchange, to facilitate the movement of contraband, to convey threats and, in this case, to organise significant criminal activity outside our centres. "The continued use of phones in detention poses a significant threat to our staff, to detainees and the broader community." Reports of online fraud can be made to the Police Assistance Line on 131 444 or at a local police station.